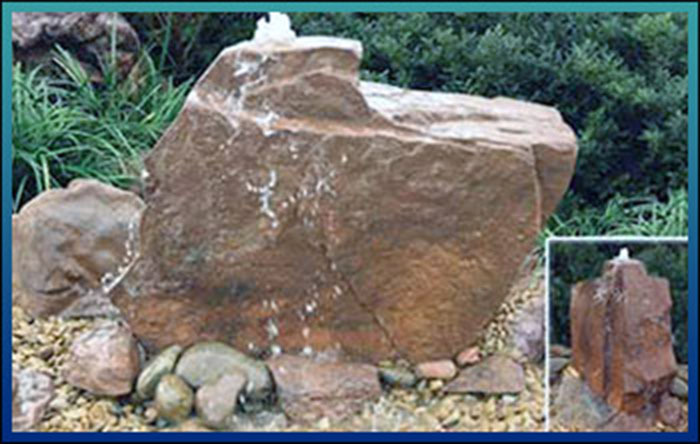 Landscape Creation products have available an Easy Step-by-Step DVD, demonstrating the simple installation process of attaching the waterfall and edge rocks to the coping of the pool and also the connection to the pump. 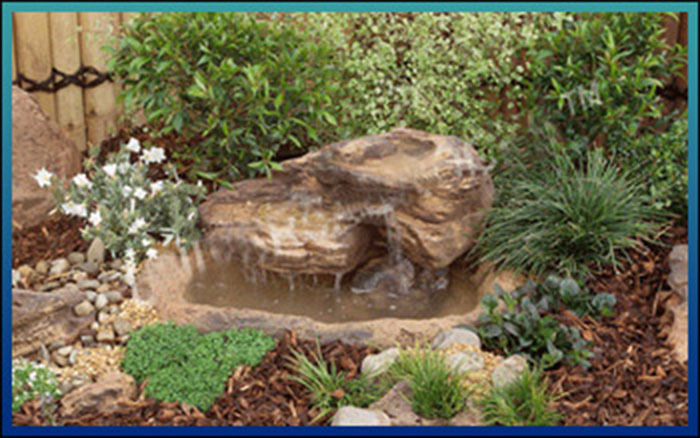 – You’ll have a complete fascinating and beautiful water feature fininshed in hours! 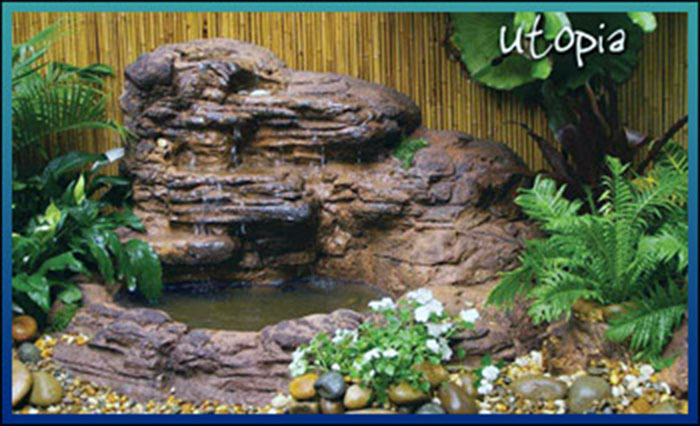 Landscape Creation's waterfalls, ponds and rock structures are virtually indistinguishable from authentic, heavy rock. Each design has been hand modified to ensure maximum water flow. They are durable and will age, as nature intended, however they will not corrode or degrade as porus cement does resulting in leakage. With our lightweight technology, the units can be easily transported, placed and moved into the determined position. Access is also not an issue as they can be carried through a house, an office or even over a fence. 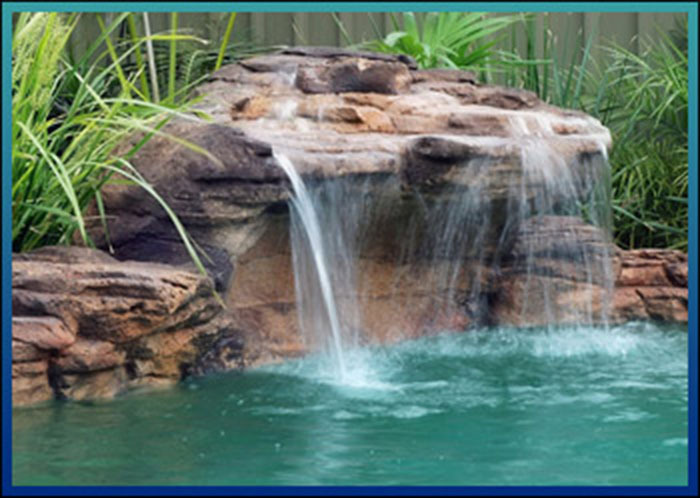 All water features may also be relocated at a later date if required. Our unique designs make a dramatic statement in any setting. They create a peaceful, tranquil mood inherent to their soothing sounds and actions.